Jeffrey Van Wagner is the Managing Shareholder of BSPH. 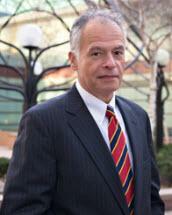 His career as a litigator and trial attorney has now spanned three decades. He is a 1979 graduate of Case Western Reserve School of Law and has extensive litigation and trial experience in the areas of nursing home liability, medical malpractice defense of physicians and institutions and product liability. He has extensive experience in defending physicians and institutions where opioid prescription practices are at issue and is well familiar with the nuances of the learned intermediary doctrine as applied to the sales and marketing of prescription medications. Mr. Van Wagner's full-service endeavors for his clients also include providing claims and risk management services and presentations for clients, interactions with state and federal agencies, participation in civil and criminal investigations, and pre-suit evaluation and assessment of potential claims. He recently worked with physicians and pharmacists at a major medical provider in Cleveland to develop a pain management protocol for use of opioids in general and methadone induction specifically. The author of various articles and a frequent presenter to medical, nursing home and insurance clients, he has extensive experience with trials in courtrooms throughout the northern tier of Ohio. Mr. Van Wagner is a member of the Ohio State Bar as well as the United States District Court of Ohio (Northern and Southern Districts), the Sixth and Fifth District Courts of Appeal. Mr. Van Wagner was selected as an Ohio Super Lawyer for twelve straight years (2007 through 2018). In 2013, 2014, 2016 and 2018 he was also named as a Cleveland Top 50 and Ohio Top 100 Ohio Super Lawyer. He was also named to "The Best Lawyers in America" for 2013, 2014, 2015, 2016, 2017 and 2018, the 19th through the 24th Editions in the fields of Medical Malpractice Defense and Health Care Law. Mr. Van Wagner further enjoys an AV Preeminent Five Star rating with Martindale-Hubbell.